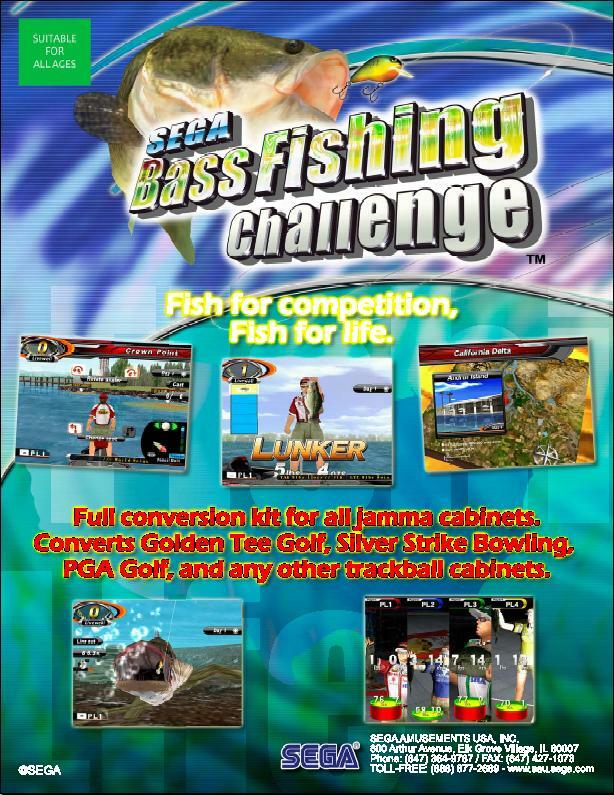 Sega Amusements USA has updated their website with information on two new arcade releases for the US, Clay Challenge (which we revealed in our AMOA 2008 coverage) and Bass Fishing Challenge (which we revealed in our ATEI 2008 coverage). Both releases are in JAMMA kit form and can go into a standard JAMMA cabinet as well as in an Atomiswave cabinet; the latter is intended to go into any cabinet that uses a trackball (like Golden Tee). I imagine that both games will be at ASI in a couple of weeks and it’s always good to see a few more kits coming along as that really helps out street locations. Now they just need to offer a Rambo kit so we can convert HOTD4 into that. 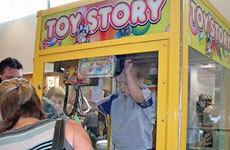 I have added both games to our “Already Released” category on our Arcade Game Release list for 2009. 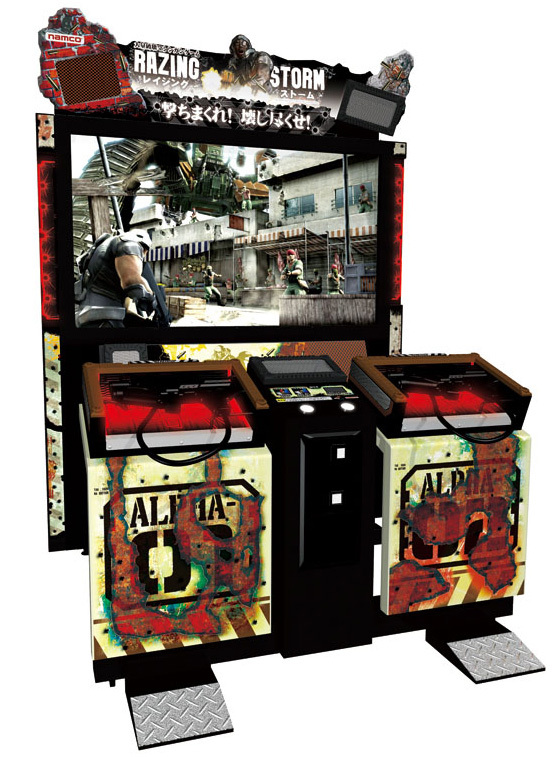 Namco’s latest light-gun shooter will soon land in arcades (release is listed for March 2009) and in advance of that, Namco America has issued a press release on the game. There isn’t a lot of new information on the game that we didn’t know beforehand but, I did not know that this was put together by the same team who works on the Time Crisis series and they get into a little more detail on how the digital surround sound system works. 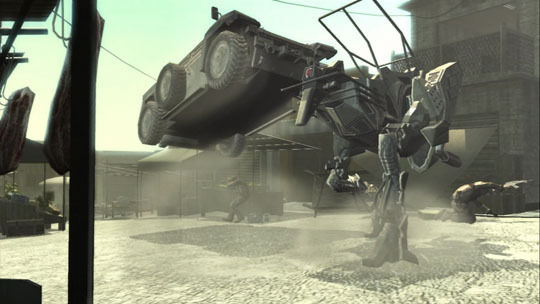 I just hope that the machine guns won’t cost nearly as much as Crisis Zone’s gun did, which was (and still is) a bit of a joke.We also have a new screenshot of the game, click on it on the right to enlarge. Also for a brief note Namco America’s arcade portal, namcoamerica.com has been updated with a new look. It’s probably been like this for a while so I admit that I missed out on it but I’ll look at keeping an eye on it more often. If Sega’s Border Break news has wet the appetite for some mech action, then your in for another treat as Sega are bringing the classic mech game; Virtual On to Xbox Live Arcade. Not any old VO, but the final release Oratorio Tangram which was the final release for the Naomi. The game is pencilled for an April release at 1200 points. Can’t wait, but one thing that does concern me is the more and more common 1200 point price tag for XBLA games. Are Microsoft gradually sneaking them up, me thinks? 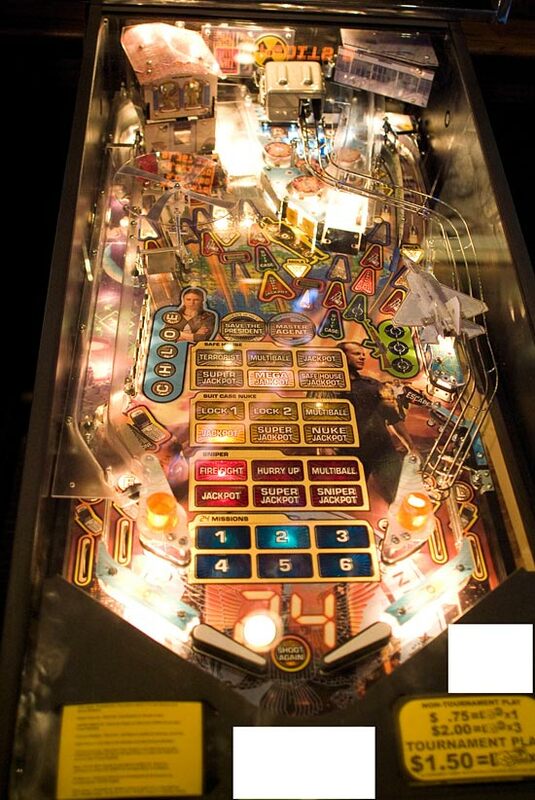 Stern’s latest pinball game, “24” is soon going to hit the streets and with it, Pinball News has got their hands on a prototype of the game and have snapped some shots of every angle imaginable of the machine, as you might expect from them. Up close the game looks better than I thought it would based upon the blurry shot we had of the playfield beforehand – I just wonder if Stern is ever going to plan on doing a little more with their games and go as far as adding a multi-color dot matrix display or something along those lines. Of course the consideration of changing something so sacred and established as that might be blasphemy in some circles so I suppose they must tread carefully. I’m a few days late on this but it’s still newsworthy. Michael Jackson will be auctioning off his rather impressive collection of arcade games on April 24th in California, via Julien’s Auctions. They are auctioning off a lot of other non-arcade related stuff too but there is enough arcade stuff there that they get a whole day to themselves. Some notable arcade titles in there: The Sega R360, Galaxy Force, Rush 2049, Jumbo Safari, Super Street Fighter II, Crazy Taxi High Roller, The Simpsons, HipHop Mania Complete Mix 2, X-Men, Guitar Freaks, Dig Dug, Crystal Castles, Donkey Kong, Mocap Boxing, Dance Dance Revolution and much more. Strangely, he does not have an arcade copy of Moonwalker in the collection. There are also some pinball games to be bought, from the Simpsons Pinball Party, to Star Trek The Next Generation and Terminator 3 to the first Indiana Jones pin. He also has some kiddie rides and life-size figurines of comic book characters (including an unusual Michael Jackson as Batman figure) that will be on the auction block so overall you could easily start your own cool arcade if you picked up all of this stuff. 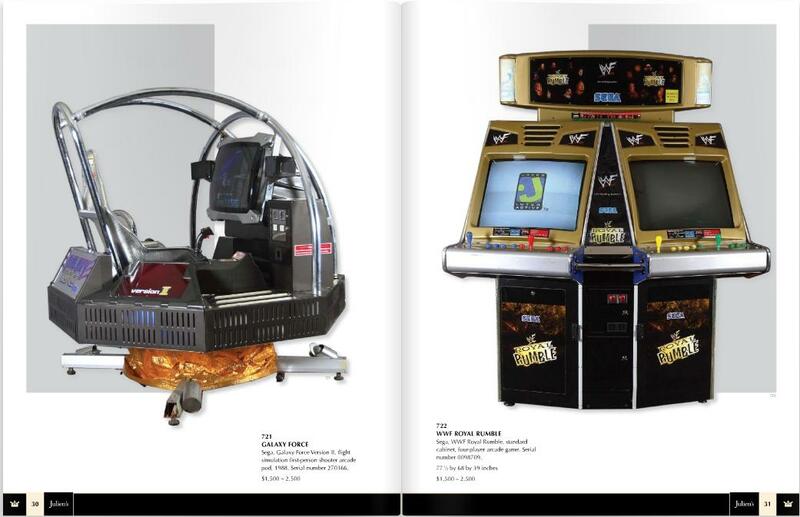 Check out the arcade catalog for the auction here.